“I don’t know what I can say,” he said. “I knew that nothing was guaranteed before the stage. I lost a teammate. And now I can say that I was sick all the week, I got sick after the second day. I really thought I would have to stop the race. Every day I found the energy to continue. The 144.6 kilometre stage from Naas featured a long distance move of eight riders. This began almost immediately after the start when Marc Potts (Ireland National Team), Russell Downing (Ireland Holdsworth Pro Racing Team), Fintan Ryan (Cycling Leinster) and Philip Lavery (Cork STRATA 3 - VeloRevolution Cycling Team) attacked. Bugter and Ghys then bridged up to Bax, causing chaos behind and forcing Thiery and his team to chase. The race leader finally came up short, finishing 11 seconds behind his main challenger and losing the race overall. 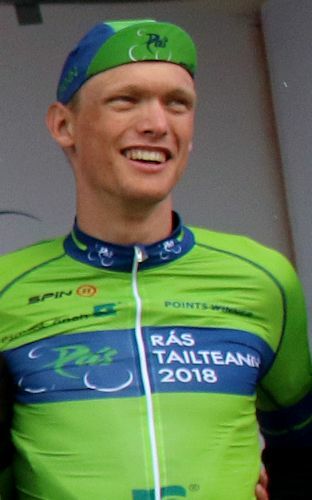 Robert-Jon McCarthy (Ireland National Team) was best Irishman on the stage, winning the bunch sprint for fourth, while the Italian Matteo Cigala (Westmeath Viner-Caremark - Pactimo) in sixth was best county rider. Soon after the start, four riders attacked - Marc Potts (Ireland National Team), Russell Downing (Ireland Holdsworth Pro Racing Team), Fintan Ryan (Cycling Leinster) and Philip Lavery (Cork STRATA 3 - VeloRevolution Cycling Team). He was caught very soon afterwards, but soon afterwards three others started chasing. Ciaran McVeigh (Antrim Velo Cafe Magasin PowerHouse Sport), Lindsay Watson (Antrim Velo Cafe Magasin PowerHouse Sport) and Michael Fitzgerald (Cork STRATA 3 - VeloRevolution Cycling Team) set about closing the gap, but Fitzgerald slipped back soon afterwards. White took the category 3 climb of Plukhimin (km 88.1), ahead of Alderman, Potts and Jeffers. Four kilometres later, at kilometre 92, the gap was two minutes and ten seconds, and this dropped to one minute 57 seconds. However the peloton backed off slightly and Samuel Tillett (Wales Racing Academy - National Team) jumped clear of the bunch around kilometre 97. He was two and a half minutes back two kilometres later, with the peloton a further 15 seconds behind. 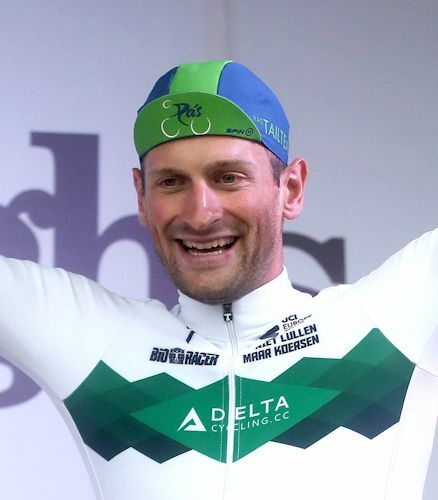 Dramatically, the green jersey of Luuc Bugter (Netherlands Delta Cycling X), the white jersey of Robbe Ghys (Belgian National Team) and the blue jersey of Mark Dowling (Cycling Leinster) attacked on the climb. 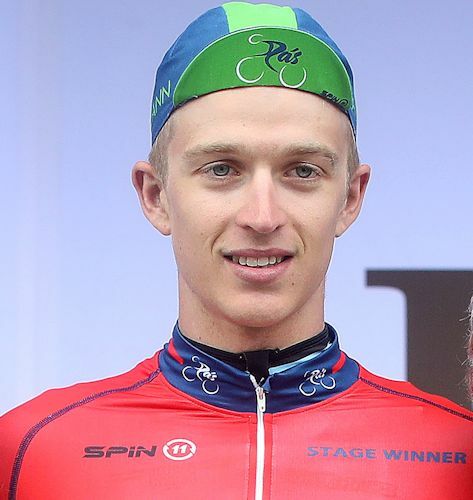 Bax took the prime, with Bugter leading Matteo Cigala (Westmeath Viner-Caremark - Pactimo) and Robbe Ghys (Belgian National Team) over the top. It looked like Thiery might be able to save his race but the leaders accelerated again. Ghys took the stage win ahead of Bugter, with Bax six seconds back in third and Robert-Jon McCarthy (Ireland Racing Team) taking the bunch sprint for fourth. Crucially, that bunch was 12 seconds back and Bugter was awarded the overall win by 1 second.